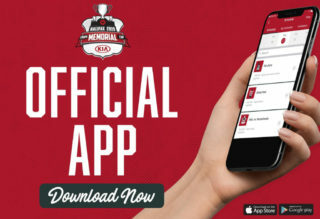 (Quebec City, QC) October 3, 2018: The Canadian Hockey League in association with Kia Canada Inc. are proud to announce a new partnership whereby Kia Canada becomes the Official Automotive Partner of the Canadian Hockey League, Western Hockey League, Ontario Hockey League, Quebec Major Junior Hockey League, as well as new presenting sponsor of the Memorial Cup. 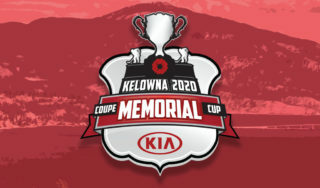 The new partnership officially launched today on CHL Facebook Live broadcasting media events in Quebec City and Calgary where the logo for the 2019 Memorial Cup Presented by Kia was unveiled and the host city for the 2020 Memorial Cup Presented by Kia was announced as Kelowna, British Columbia. 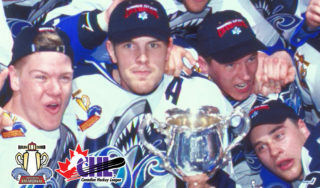 The Memorial Cup has a rich tradition that has shaped the way junior hockey is played in North America. The trophy was originally known as the OHA Memorial Cup and was donated by the Ontario Hockey Association in March, 1919, in remembrance of the many soldiers who paid the supreme sacrifice for Canada in the First Wold War. 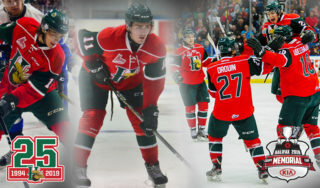 In 2010 the Memorial Cup was rededicated to the memory of all fallen Canadian Military Personnel. 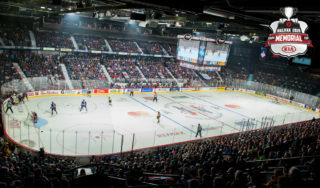 Last season marked the centennial celebration of the Memorial Cup where it was presented for the 100th time to the Acadie-Bathurst Titan in Regina. 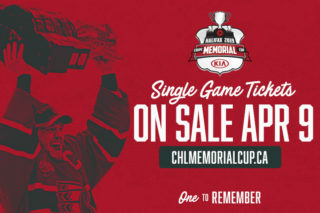 The 2019 Memorial Cup Presented by Kia will feature the host Halifax Mooseheads along with the champions from the WHL, OHL, and QMJHL competing May 16-26. Kia Canada will also have the opportunity to engage with CHL fans and communities across the country as an associate partner of the CIBC Canada Russia Series and the Sherwin-Williams CHL/NHL Top Prospects Game. Throughout the regular season they’ll help spotlight some of the league’s best teams with feature content and title sponsorship of the CHL’s popular weekly top-10 rankings, then join each regional league as a playoff partner during the stretch drive towards the Memorial Cup Presented by Kia. With commitment to community top of mind, Kia Canada will also present Humanitarian of the Year awards in all three leagues and to a national recipient at the annual CHL Awards Ceremony. Kia Canada Inc. (www.kia.ca – www.facebook.com/kiacanada), a maker of quality vehicles for the young-at-heart is a subsidiary of Kia Motors Corporation (KMC) which was founded in 1999 and sells and services high quality, class leading vehicles like the Soul, Forte, Optima and Sorento through a network of 192 dealers nationwide. Kia Canada Inc. employs 154 people in its Mississauga, Ontario headquarters and three regional offices across Canada, including a state-of-the-art facility in Montreal. Kia’s brand slogan “The Power to Surprise” represents the company’s global commitment to surprise the world by providing exciting & inspiring experiences that go beyond expectations.